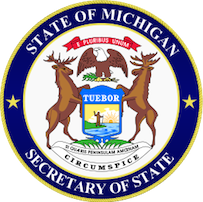 This final installment in my series about the 3 most common reasons a Michigan driver’s license restoration appeal is denied will focus on what is also the final step in the reinstatement process; the appeal hearing. We first looked at problems with the substance abuse evaluation. In the section after that, we examined shortcomings in the letters of support. This section will, by necessity, be a very topical overview because there are just so many things that can go wrong at the hearing phase of a license reinstatement case that can ultimately be the reason you lose, that covering some of them, even briefly, could take forever. One of the first and biggest mistakes people make is bringing in a witness to the hearing. This is the absolute poster-child of all amateur mistakes, and, at least to me, is a simple way to identify a lawyer who has no idea what he or she is doing. I have written whole articles about this, but the conclusion of all that analysis is the same; bringing a witness is a mistake. Anything helpful that a witness can say can and should be put in a letter. In other words, you can get all the benefit from a witness into a support letter, without any of the risky disadvantage of putting him or her up to the questioning of the hearing officer though live testimony. Another huge mistake that’s made is the failure to adequately prepare for the hearing itself. I’m not talking about some generic kind of “what you can expect” review, either, but rather a prearranged, scheduled “prep session” that takes place the day before your actual hearing. I cannot help but cringe when I see some lawyer walk into the Michigan Secretary of State’s Driver Assessment and Appeal Division (DAAD) waiting room a few minutes before the hearing, find his or her client, and then go over a few things, or, worse yet, accept some new piece of evidence, like a letter of support, without having read it first. First, there is the general, or generic “this is what you can expect” stuff that really applies to any hearing. It is important to provide a framework, or outline, for the specifics that will follow. Third, and most important, is preparing under the facts of your case for the specific hearing officer to whom your case has been assigned. This is huge. If you went into your last hearing without knowing about your hearing officer, what kind of disposition he or she has, and what he or she would be asking you, based on the facts of your case, then you were simply not well prepared. That’s a failure and is unacceptable for something as important as this. As I point out elsewhere, if you went in to your hearing without a lawyer, then (and I know this sounds cold, but it’s the hard truth), you got what you paid for in terms of experience and help, and at least know who to blame. Of course, each of the hearing officers has certain areas of concern that is particularly important to him or her. Some hearing officers will ask different questions to a person who is active in AA than they will to someone who does not go to meetings. If you’re in AA, one hearing officer may ask you to recite a few steps, while another may ask you to talk about how a particular step impacted your recovery, even if it is a step of your own choosing. If you’re not in AA, one hearing officer may ask “why not?” while another may ask you about what you learned in counseling, or therapy that is relevant to your recovery. None of this should ever come as a surprise to you as you sit in front of the hearing officer. Remember, the rule governing license appeals requires that “The hearing officer shall not order that a license be issued to the petitioner unless the petitioner proves, by clear and convincing evidence, all of the following…” This essentially means that the hearing officer is required to look for a reason to deny your appeal, rather than looking to grant it. Your hearing preparation needs to be done with this in mind. Underlying all of this, at least in all of my cases, is the confidence of knowing that my client is going in to tell the truth. I reiterate this point in almost everything I write, but I only take cases in which the person has really and truly quit drinking. I am NOT interested in dealing with anyone who thinks he or she can still drink, and if such a person thinks that they can “confide” in me that they still have a beer once in a while, or have a glass of wine, then they’ll find out real fast that I mean what I say. You must be sober for me to take your case, but in exchange for that, I guarantee that I’ll win your license back. Beyond everything we could say about this, it comes down to the simple moral strength and legal advantage of being honest and truthful. I will fight with everything I have for my client, because I know that he or she is genuinely sober. There is just nothing to compare to what it feels like to be a Michigan driver’s license restoration lawyer representing an honest person telling the truth about having gotten sober, and how “invested” I am in my client’s cause when I know we are striving to put the last piece of the puzzle in place for someone who has really rebuilt his or her life. I want my clients to win because I believe in my heart and soul that they deserve to win. To me, there is something “golden” about sitting in front of that hearing officer not having to memorize endless details because all we have to do is tell the truth. While it is also true that the license appeal process is governed by (or, you might say “riddled with”) a million little rules, it’s my task as the lawyer to navigate that for you. That’s what I get paid to do. All you have to do, really, is let me do my job so that I can then stand aside when it comes time to do yours, which is to tell the truth. What could possible be better than that? Winning. And I guarantee that we will. Having come to the end of our analysis of the three main reasons that Michigan license restoration appeals are denied, there is one final observation about all three of these issues that provides some context for them: You don’t know what you don’t know. Whatever else, I know how to win a license appeal. If you’ve genuinely quit drinking, I can get you back on the road and help you relish the joy of putting a valid driver’s license back in your wallet. If you’re sober and serious about winning, make sure you call my office.